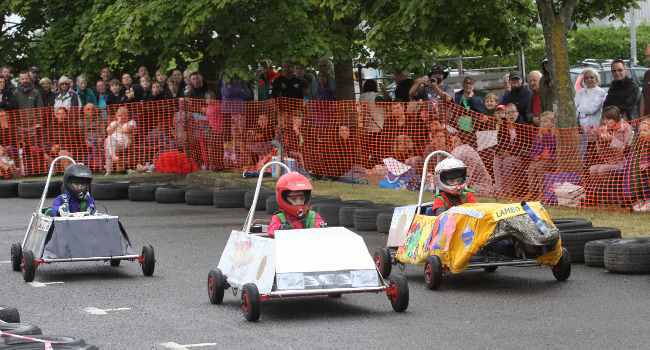 The Uckfield grand prix this is the highlight of the year for many of the local primary school children. With the cars reaching almost 15mph, 817 laps driven and 360 pit stops each year! To coincide with the launch of the team portal a few weeks ago, our new website has now launched. Our new team portal has just launched, if you have a team with us this year please keep an eye out for an email. This year we will have an earlier start time of 11am please make a note of their in your diaries. 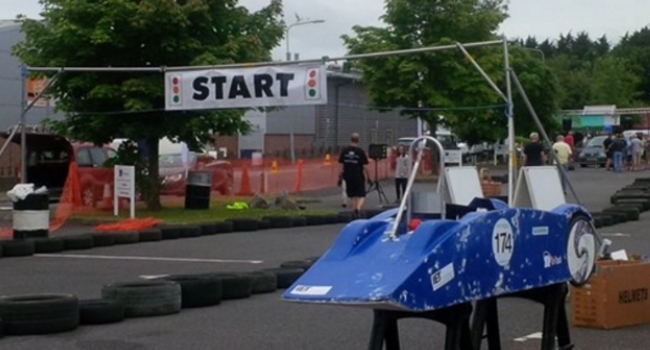 Every year the Uckfield grand prix this is the highlights for all the local primary school children. 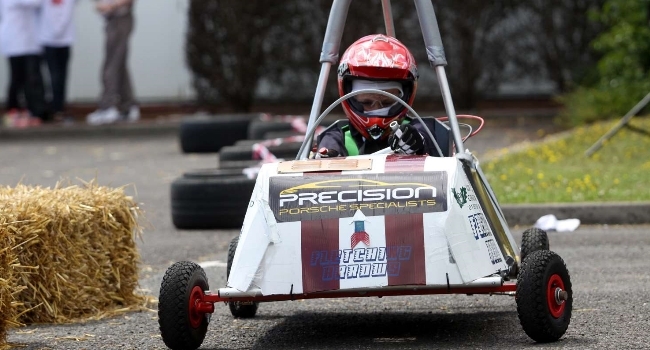 For almost 7 years local primary schools have been racing goblin class cars at the Uckfield grand prix in the car park of TR Fastenings.Bolton Close, Bellbrook. The event is part of the Uckfield Festival;- 2 weeks of fantastic events in the Uckfield area. The Uckfield grand prix track is made up of sharp bends, fast straights, pinch points and all with the notable "Enterprise Corner". With the cars reaching almost 15mph there is lots of concentration required when racing. Anything can happen as the cars race around the track, bumps and crashes are possible which adds to the excitement. 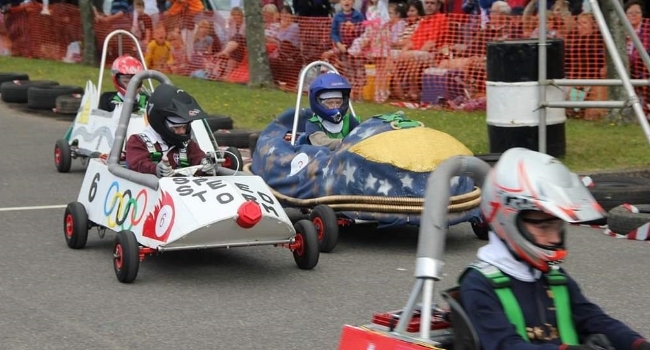 Every car at the Uckfield grand prix is made by the children with help from some enthusiastic parents and teachers. All cars come in kit form with over 100 parts which must be assembled each year before the event. The cars not only have to race good they have to look good. Each team spends many hours decorating their cars in any way they like. Drop us an email and we will get back to you as soon as possible!